View More In Chili Powder. Try the wonderful taste and burn of our world famous Ghost Pepper Powder. Made from one of the hottest peppers in the world, it will make any dish into a fire lovers delight. Mix a teaspoon into ranch dip and it becomes a dip everyone will love. Add a bit more for those friends and family who think they can handle the heat and watch them beg for a glass of milk just to soothe their pain. It is excellent on the grill as well, simply add a dash to chicken, steak, pork and more. Our Ghost Pepper Powder will not disappoint you and it is backed by our 100 percent satisfaction guarantee! All orders ship in 2 business days or less guaranteed! One of the worlds hottest peppers! 100 percent pure, FDA inspected, gluten free! 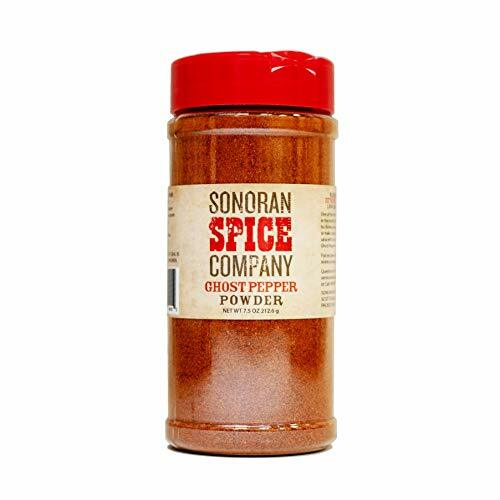 If you have any questions about this product by Sonoran Spice, contact us by completing and submitting the form below. If you are looking for a specif part number, please include it with your message.